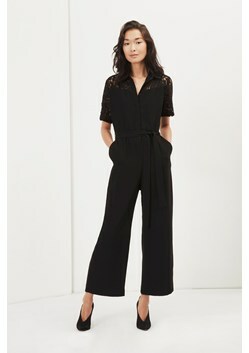 Meet your modern wardrobe staple in the form of this Liz lace jumpsuit. It is cut from crepe and detailed with a lace insert to form a flattering shirt top and self-tie belt that defines your waist. Wear from day-to-night with mules or block-heeled sandals and a striking leather jacket.